Gwen Butcher Shop & Restaurant is the second restaurant from fine dining chef Curtis Stone. For this venture, Curtis partnered with his brother, Luke Stone. 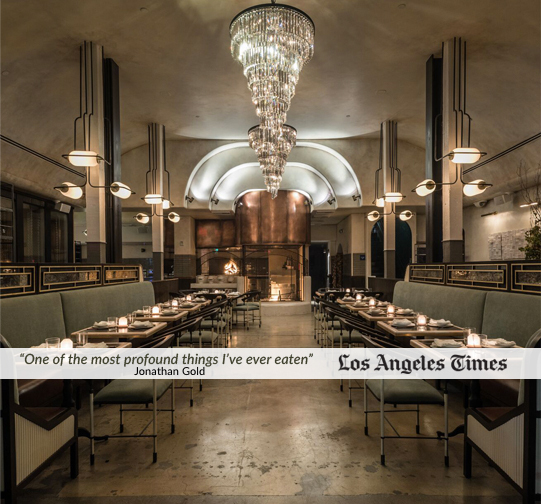 Gwen is both an old-world, European-style butcher shop and an elegant restaurant that is redefining fine dining in LA. A menu that calls on fire-based cooking techniques, guests have flexible options including á la carte or a five-course menu. A stone’s throw from iconic Hollywood venues, a pre-theatre menu is also available for guests looking for a quick bite before a night on the town. Reservations are recommended however walk-ins are always welcomed. Gwen is a decade-long dream for Curtis and Luke, who were inspired by Gwen’s namesake: their maternal grandmother who lived on a farm outside of Melbourne. It was on Gwen’s farm where they were first exposed to livestock farming, which instilled in them great respect for the process of raising animals for food. The brothers each started their careers in a butcher shop, before Curtis went on to cook in Michelin-starred restaurants while Luke honed his business acumen as the owner and manager of a corporate florist business in Australia. 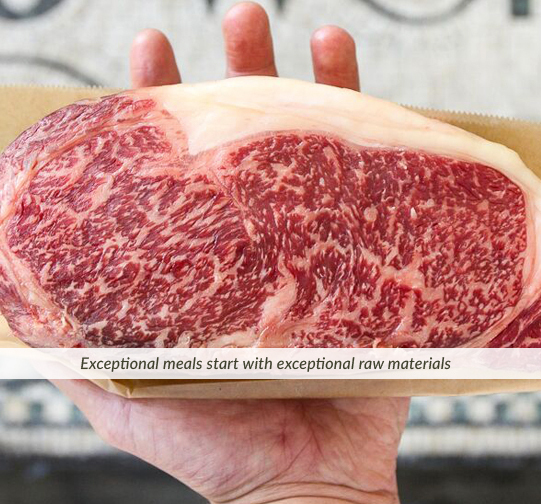 Visit us in-store, consult with our chef-minded butchers and view our vast range of premium quality products from the US and beyond. Browse through our product range online. We look forward to seeing and serving you in our store. Calls are welcomed and you can always place an order for pick up or to discuss any of our available products.